Summer Spent on the Hill Every year, thousands of students head to Washington D.C. to work on Capitol Hill—though these internships are mostly unpaid, students testify that they are absolutely essential to beginning a career in politics. olitical activism is as essential to college campuses as nice grass. At Boston College’s Convocation every fall, hundreds of first-year students are drenched in BC’s call to be men and women for others—they are coated in Ignatian values and reminded that their education is not complete unless they share what they learned with others. And for many BC students, this call turns them to a career in politics. Each summer, approximately 10,000 interns work on Capitol Hill, and BC students join others from across the country in their hike to the Hill. As students dive into internships in the public sector, they have to grapple with little compensation and menial tasks, but in return they receive the opportunity to encounter the world of politics firsthand, and to connect with future employers. If you scroll through the camera roll of Jaime Martinez, MCAS ’20, you’ll see pictures of him with slicked-back hair in classic business casual grinning alongside political bigs like Ben Carson, Bernie Sanders, and Ted Cruz. Last summer, Martinez approached and talked to all of these former presidential candidates in Washington D.C. 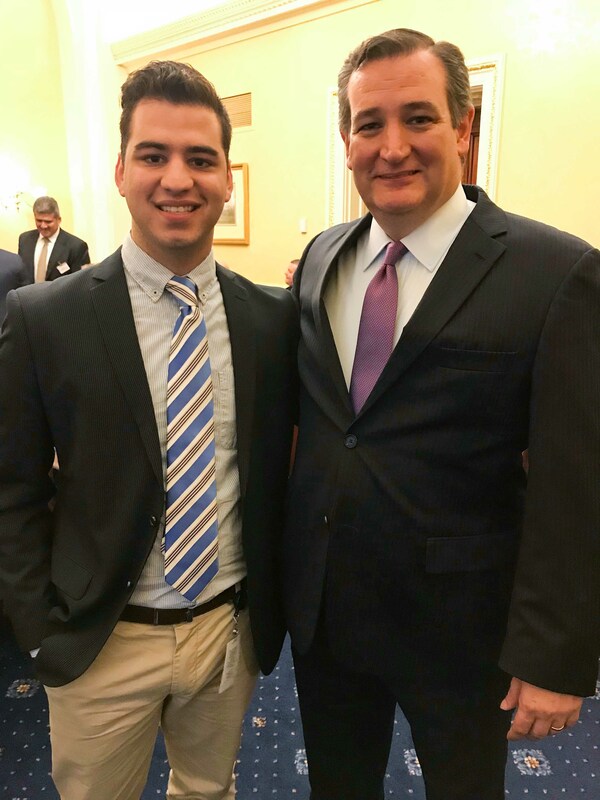 He was one of three interns on Capitol Hill for Congressman Filemon Vela, of Martinez’s own 34th District of Texas. But Martinez’s journey to the Hill began long before he snagged this coveted internship. If you took a tour of the White House during summer 2017, there’s a chance it was led by Lauren Healy, MCAS ’19. In addition to her duties in the office of Republican Representative Mike Coffman during the electric and particularly exciting summer that came at the wake of the Donald Trump presidency, Healy took advantage of the city spread out before her that was drenched in history. Healy wanted to learn as much as she could while in D.C. and frequented museums during her free time. But before Healy and Martinez snagged the opportunity to live and work in D.C. for a summer, they had to cultivate the interest in politics that led them there. Martinez introduced himself to the world of American politics long before he could vote, and long before he even lived in the United States. A native of Mexico City, Martinez and his family vacationed in Texas every summer where he checked out books from the public library on the White House, the Statue of Liberty, and Mt. Rushmore, catalyzing his interest in American politics despite not being a natural-born citizen. Martinez, who is currently a political science major with plans to attend law school, became fascinated with American politics. 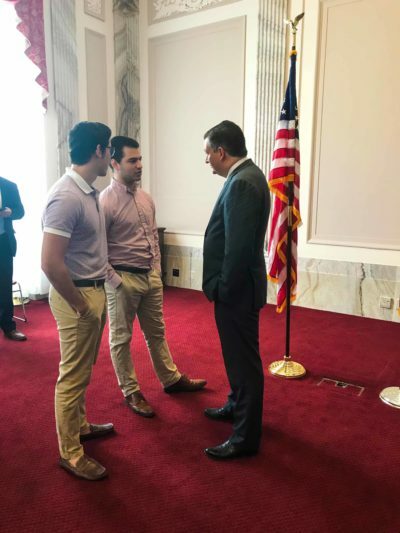 While his work as an intern mainly consisted of constituent services—answering phone calls, drafting constituent letters and other miscellaneous office work were the order of the day—Martinez found thrill and excitement outside the office. 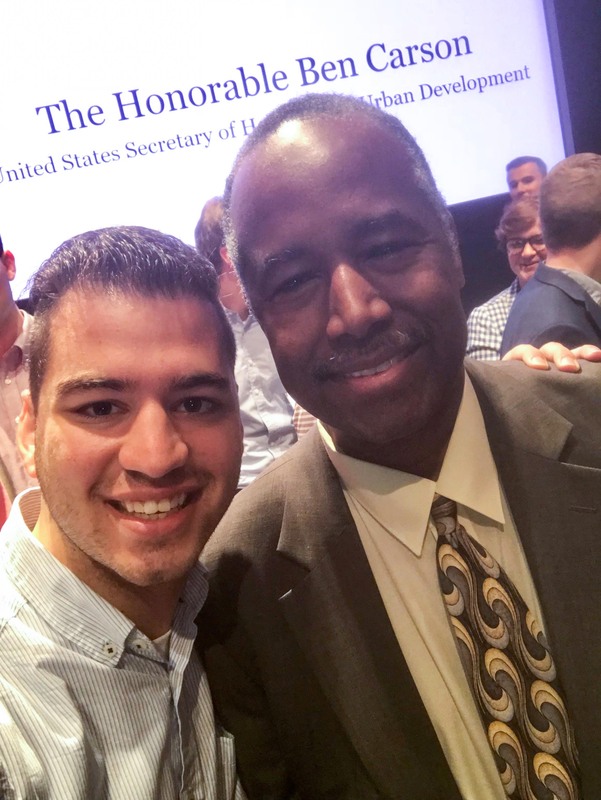 Rubbing elbows with recognizable senators and presidential candidates, riding an exclusive subway meant for government officials, and attending intern-only speeches made his job all the more rewarding. Though only an intern, Martinez never hesitated in approaching prominent politicians, or pulling up the pictures on his phone to prove it. He said that there are two types of interns: those who are very reserved and try not to disturb politicians at work, and those like him, who make it their mission. 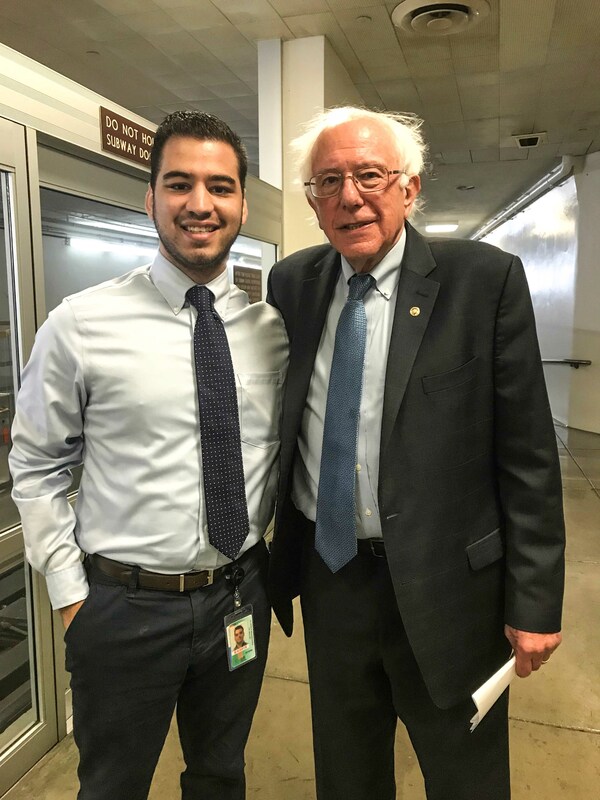 When Martinez ran into Sanders on the subway between government buildings, he walked up and struck up a conversation—they discussed past and future presidential elections. “I would approach anyone who got in my way and talk to them and take pictures,” Martinez said. It was these conversations, whether in front of hundreds of other interns in a lecture or on the subway between buildings, that made the hours Martinez spent pushing paper worth it. Because one of his duties was answering constituent calls, Martinez conversed with people of ranging opinions. He received questions about detention centers that held over 2,000 immigrant children separated from their parents last summer, some of which happened to be a 10-minute drive from his home in Brownsville, Texas. Cameron County at the southern Texas border (which encompasses Brownsville) held the highest number of immigrant children placed in shelters, with over 2,000 children. Martinez diligently attended to any constituent that called him, and there were many. Some expressed concerns over the children being separated from their families, while others called to congratulate Trump on a job well done. In one instance, a teenage girl accompanied by her mother came into Vela’s office with a 20-page description of her prototype for a wall at the south Texas border. “Being in Washington D.C., in Congress, does not necessarily change your view on certain issues, but at least for me, it helped me understand [other people’s] point of view and where they’re coming from and see why that is such a strong stance,” Martinez said. Experiencing American politics first-hand at the federal level not only inspired him to pursue another political internship for summer 2019, but to run for office after attending law school. 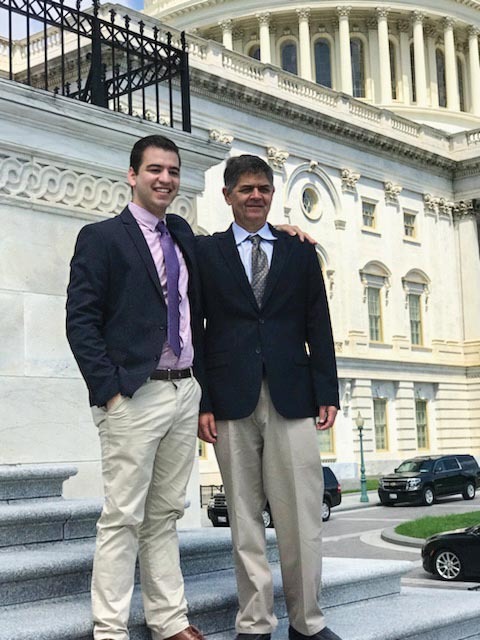 That same summer, Patrick Fahey, MCAS ’20, interned in a political office—not in D.C., but a little closer to home. He worked for his congressional representative, Joe Courtney, a Democrat in Connecticut’s 2nd district. While answering phone calls or reviewing constituent letters, Fahey also databased the opinions of district constituents. In one specific instance, a veteran on the brink of homelessness called Courtney’s office for help. Constituent caseworkers contacted the Department of Veteran Affairs, and secured affordable housing for him, but the veteran was never able to move into the housing they found him. Currently, Fahey’s future political plans are up in the air. 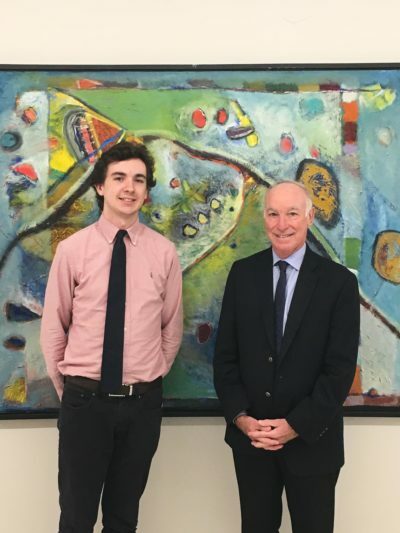 In between free museum visits, leading White House tours, and galavanting through Washington D.C., Healy spent the summer of 2017 on Capitol Hill alongside three other interns of Coffman’s. With that summer being Trump’s first summer in office, Healy felt it was the right time to put her political science major to work. Though Healy is not from Coffman’s district—she’s from Littleton, Co.—she sought out an internship under his wing after researching Colorado representatives. Healy, interested in veterans’ affairs, decided on Coffman based on the military significance of his district, given that it holds Buckley Air Force Base. Coffman’s district also holds a Veterans’ Affairs (VA) hospital and military base, peaking Healy’s interests in VA issues. Though her day-to-day tasks were also relatively menial—answering phones, taking notes, giving tours—it was Healy’s involvement with two big political issues that defined her experience: the defense budget and transgender military rights. The classified nature of the defense budget didn’t allow for Healy or any of the other interns to have a particularly hands-on role, but Healy involved herself in researching topics she would never have otherwise. For example, Healy was in charge of researching a new plane to be held at Buckley Air Force Base. The sweltering heat of the summer was accompanied by the hot topic of whether transgender military servants should or shouldn’t have their transition-related health care costs covered by the military. Healy felt that her involvement as an intern was most vital during this debate, which came before Trump tweeted to ban all transgender people from serving in the military on July 26, citing “medical costs” as the reason behind the bar. Though Mike Demakos, BC ’16, did not do his first political internship after he graduated from BC, his drive throughout his time as an Eagle helped to later land him the job. Demakos, who has worked for two representatives, considers internships extremely important in helping students obtain jobs and become connected in the political world. He is currently a legislative assistant for Representative Niki Tsongas of Massachusetts’ 3rd congressional district, though he previously worked under Representative Jim Himes of Connecticut’s 4th congressional district. Prior to snagging a full-time job in D.C. for Himes, he interned on the Hill for him. Like Demakos, Lilly Millette, MCAS ’20, received a new opportunity after spending a summer interning for Senator Tom Cotton of Arkansas in 2017. Millette secured her first summer internship after speaking directly with Cotton’s legislative correspondent and headed from her home state of New York down to D.C., not realizing she’d return a year later. She landed another internship for Cotton the following summer, this time working as a legislative correspondent intern, mainly working to maintain communication between the legislative office and citizens. Millette’s first summer interning under Cotton consisted of tasks that most interns are familiar with, like office organization or grabbing coffee for staffers. This kind of grunt work paid in spades the summer after, when Millette had the opportunity to do more important work like draft constituent outreach letters and policy letters. As an intern, Demakos shared in the same routine intern tasks as Martinez, Fahey, and Healy. He notes, however, that if someone is interested in working on Capitol Hill, an internship is a prerequisite to obtaining a full-time job. Though internships have become a staple in climbing the ladder toward a career, it has become almost as commonplace to not pay interns for their work. Demakos worked two jobs through his unpaid internship with Himes to support himself. Similarly, Martinez, Fahey, and Healy were all unpaid for their summers working under U.S. representatives. Some representatives offer stipends for interns, but often supporting oneself falls on the shoulders of the intern, as in Demakos’ case. Though Martinez and Fahey were not paid during the internship, they were supported through a grant from BC’s Clough Center. The Civic Internship Grant helped supplement them during their unpaid internships, which have seemingly become mandatory for a career in politics. Shaylonda Barton, the internal grants manager for the Clough Center, said that Civic Internship Grant recipients receive between $2,000 to $3,000 in grant money for unpaid internships. This money typically helps cover any expenses students like Martinez and Fahey will incur while they are working, such as rent, transportation, and meals. The Clough Center awarded 22 students a total of $66,500 in Civic Internship Grants for the summer of 2018. Demakos notes that it is the norm for interns not to be paid, and it has been for a long time. Young political hopefuls often cannot accept internships because they can’t afford to spend a summer without a paying job, putting them at a disadvantage compared to their peers who can. Living costs in a city like D.C., for those working on Capitol Hill, can be incredibly expensive, putting students in a worse financial state than they were in at the beginning of the summer.